Made in the USA, printed in full color on durable, laminated material that can be written on with non-permanent markers and wiped clean. Perfect for school, home or office use. 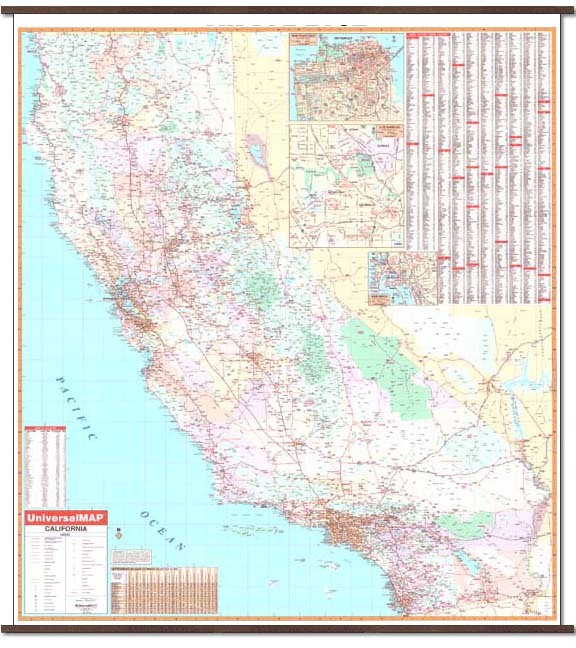 The special features found on the new California state wall map are as follows: all state highways, cities, wildlife areas, major waterways, all federal highways, towns, military installations, state parks, major airports, state universities, and various points of interest. Also includes color coded counties, insets for large cities and full indexing on the face of the map.